Why does England hate Ugandan lesbian asylum seeker Lazia Nabbanja? For that matter, why has England hated Ugandan lesbian asylum seekers Brenda Namigadde, Jackie Nanyonjo, Betty Tibikawa, Anne Nasozzi and so many others? Why has England invested so much time, energy, resources into torturing these women who have already been tortured by their families, neighbors and the State? Why does England continue to subject lesbian asylum seekers to the degradations and humiliations of the society of the queer spectacle? What threat do these Black lesbian women pose to the security of England and Wales? Today, Lazia Nabbanja, just another Ugandan lesbian asylum seeker, sits in Yarl’s Wood awaiting deportation. Why? Lazia Nabbanja’s story is all too familiar. In 2009, Lazia Nabbanja’s family forced her to marry a man. Seven years later he discovered her with her girlfriend. He beat her and left her unconscious. She fled, first to her grandparents’ house and then to the United Kingdom, where she applied for asylum. In England, Home Affairs decided that Lazia Nabbanja is not sufficiently lesbian to warrant asylum and sent her to Yarl’s Wood. Lazia Nabbanja’s story is all too familiar. Despite Lazia Nabbanja’s story, including photos, being spread across Ugandan media, Home Affairs claims that she would not be in danger if she returned “home.” Again, Lazia Nabbanja’s story is all too familiar. This is the story of Brenda Namigadde, Jackie Nanyonjo, Betty Tibikawa, Anne Nasozzi, and now Lazia Nabbanja. 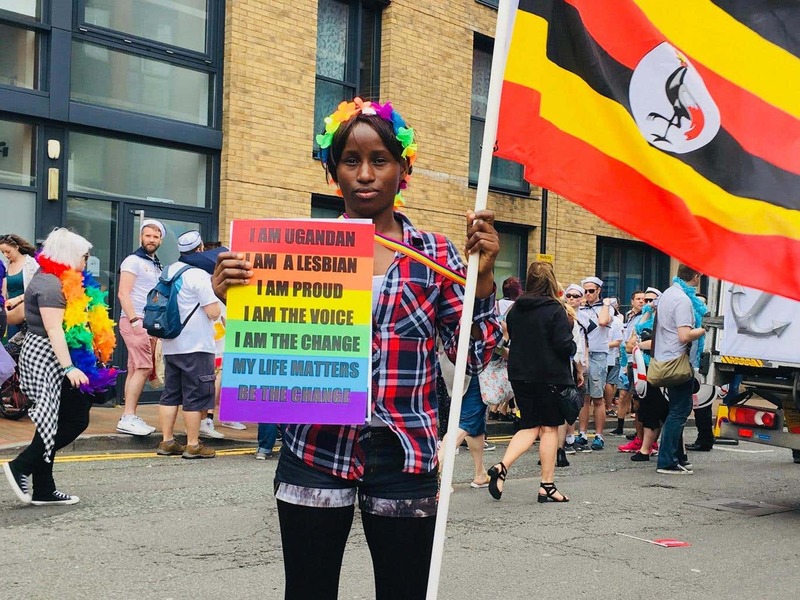 An online petition is circulating: URGENT: STOP THE REMOVAL OF LAZIA NABBANJA (A LESBIAN WOMAN) TO UGANDA. Please consider signing it. Consider, as well, the urgency of this question: Why does England hate Lazia Nabbanja?